Flex for Office, Agent and Franchises launched. Since the launch of our new responsive design product, Flex, we've been very busy in setting up sites for our clients as this product proves to be very popular amongst estate agents. 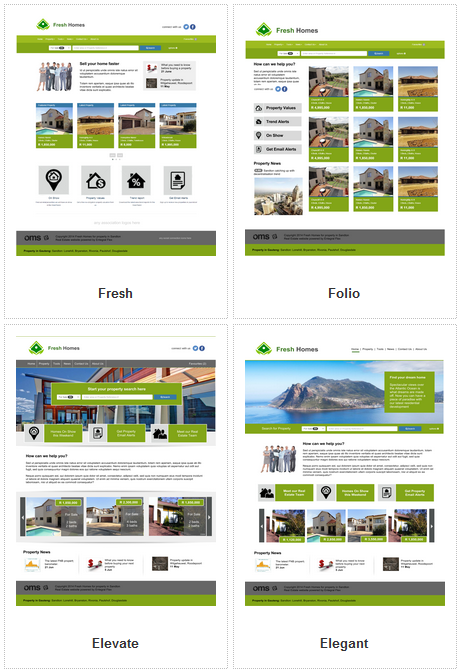 Our Flex product is a responsive website designed to be used by either real estate offices, an individual agent or by franchise offices that wants to have their own site apart from using their national or head office site as well. RealNet consists out of many franchise offices and has it's own national website developed by Entegral Technologies. In addition to the national website we've designed and developed for them many of the individual offices opted to have their own franchise websites too. These websites are themed according to the area in which they operate and also only contains the stock of that particular office. 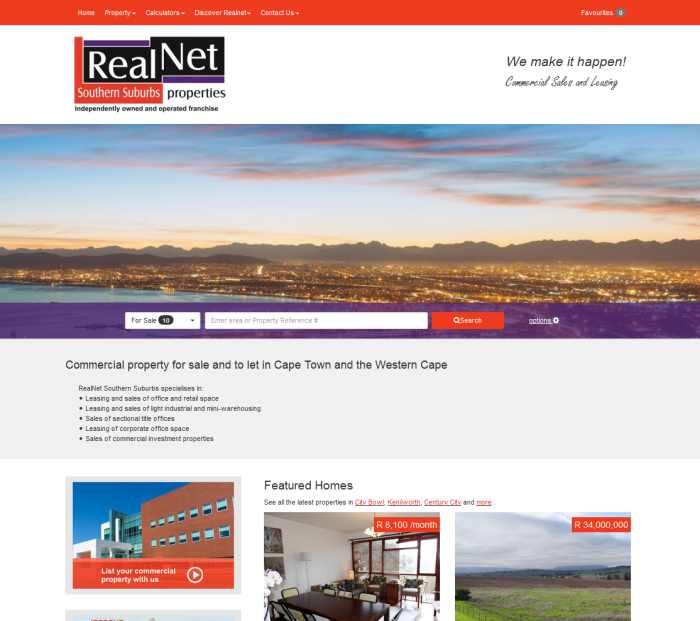 By adding these websites for each office to the net, RealNet are substantially increasing their online presence. Responsive designed websites can also be ordered by single real estate offices. Various templates have been designed for this product with multiple add on's that can be added to the base template site. Some features that can be added to the base of the Flex Offices sites include property alerts, automated newsletters, custom designed banners and headers and Twitter Cards. Flex Office is available for estate agencies making use of our Office Management System in either South Africa or Namibia. 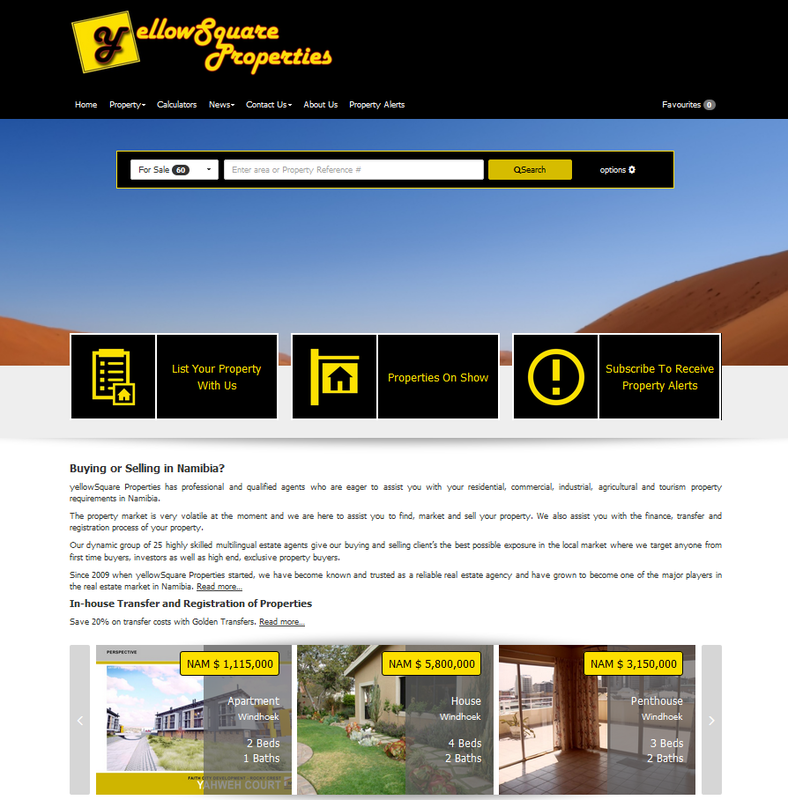 yellowSquare Properties ordered their Flex Office site (Elevate Theme) and added property alerts to the site as an additional add on to the site. yellow Square Properties operates in Namibia and mainly specialises in the sales and rentals of residential and agricultural property. Jaco van der Merwe from Beacon Real Estate (Pretoria, Faerie Glen) and Ridwaan Rasool from Acutts Phoenix (Phoenix) both have their own Flex Agent sites with their only their own stock listed on these websites. To order your own website or to start listing your properties on the Office Management System, visit www.entegral.net for more information.